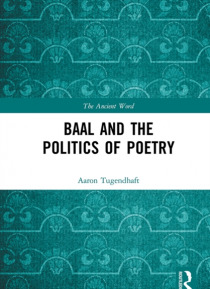 Baal and the Politics of Poetry provides a thoroughly new interpretation of the Ugaritic Baal Cycle that simultaneously inaugurates an innovative approach to studying ancient Near Eastern literature within the political context of its production. The book argues that the poem, written in the last decades of the Bronze Age, takes aim at the reigning political-theological norms of its day and uses t… he depiction of a divine world to educate its audience about the nature of human politics. By attuning ourselves to the specific historical context of this one poem, we can develop more nuanced appreciation of how poetry, politics, and religion have interacted-in antiquity, and beyond.